SETH’S PICK(s) :: HELLBOY IN HELL #1/AVENGERS #1: Yes, it’s a two pick week for me. 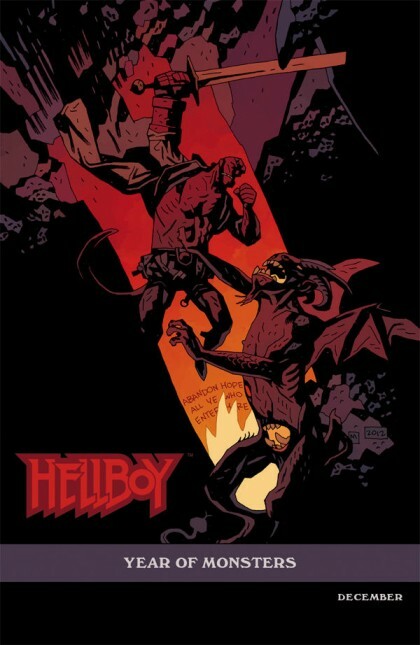 Hellboy In Hell #1 brings creator Mike Mignola back to full-time illustrating his most famous creation. Yes, he killed Hellboy, but now he can take him through all the different realms of hell. Now that HB’s free from the physical world, Mignola can draw whatever he’s always wanted to, without needing to be bound to continuity. It says a lot to me that with all the things Mignola might have done (and it could’ve been anything from more movies to continuing to have other talented folks like Duncan Fegredo illustrate his creation), he really just wanted to get back to drawing Hellboy. That’s something I respect, and have looked forward to seeing for quite a while. Avengers #1: When the Marvel Now books were announced, I said the two near-guaranteed most promising titles were Thor: God of Thunder and this book. Writer Jonathan Hickman has proved countless times over that he can handle large casts (Fantastic Four and FF) and big concepts (S.H.I.E.L.D. and Manhattan Projects). Now he’s tackling an enormous cast of over 18 characters, and returning the Avengers to big, cosmic stories. 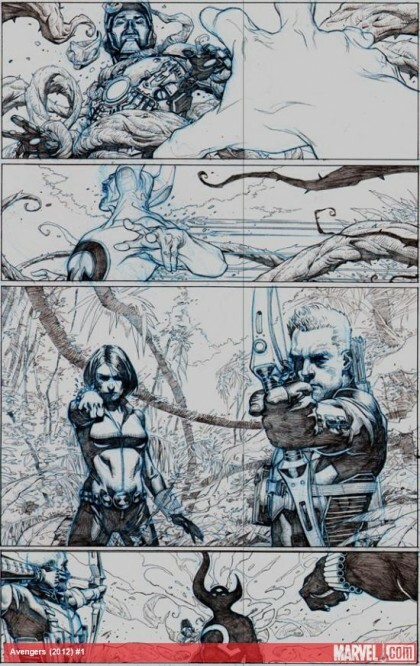 Artist Jerome Opena really left an indelible mark on Uncanny X-force, and brought a visual dynamic to Rick Remender’s stories that I don’t think anyone else could’ve done. On paper this title looks like a no-brainer, and I’ll be really shocked if this doesn’t end up being a great book. I have very high hopes for “Avengers”. I’ve been a fan of the book since I was a kid in the mid-80s. I’m definitely ready for some epic storylines, and my fingers are crossed in hopes of seeing some not-as-prominent former Avengers in this book. Opena’s artwork is stellar here…looks like it’s gonna be a blast!